Re introducing Romance Gwendolyn. She is the perfect image for a card your favorite someone. Stop over at Simply Steampunk Challenges and join in with an anything goes challenge. Simply pop over to the shop and purchase or use a Steampunk image that you have and show us how you STEAMPUNK! 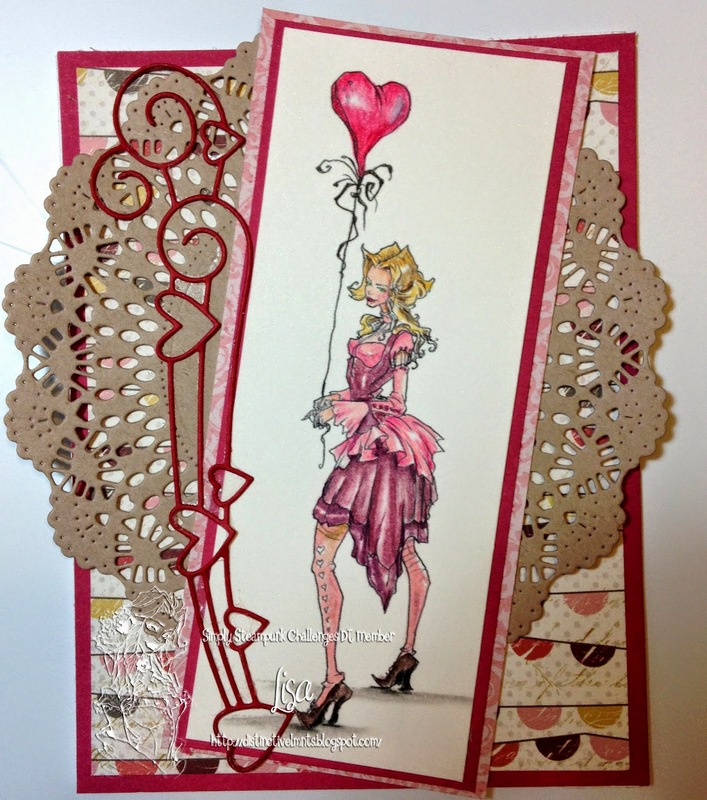 Love, love, love that pink dress, simply lovely card!